Samosa Knishes: Available filled with meat or potato -- and always overstuffed with love! Aloo Gobi Latkes: Don't wait for your Festival of Lights, be it Diwali or Chanukah, to celebrate -- Aloo Gobi latkes are a miracle in every bite! Chicken Tikka Matzo Ball Soup: We call this HinJu penicillin; it cures your ills and keeps you healthy, strong, and slightly cumin-scented. Korma Kugel: Creamy and rich, our Korma Kugel satisfies your cravings for both savory and sweet all at once. You'd be a schmuck not to try it. Lamb Shank Frankie: Sacrifice your hunger and try our version of the popular Indian street dish featuring slow-cooked masala lamb and challah roti. Curry Corned Beef Sandwich: You'll die and go right to Nirvana with our Curry Corned Beef Sandwich, served with mustard seed chutney. Mango Lassi Egg Cream: Sweet, rich, and alive with seltzer and a pop of cardamom, our Mango Lassi Egg Cream is chuzpah in a cup. Cinnamon Babka: Features the ultimate HinJu spice and is always made with love. All orders come with Matzo nan, red chili pickles, and a side of basmati rice. 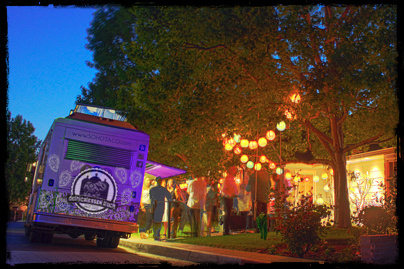 I’m Mo Cohen-Khan, owner of the Delhicatessen Truck. From Jerusalem to Jaipur, I’ve travelled all over in search of inspiration without indigestion. 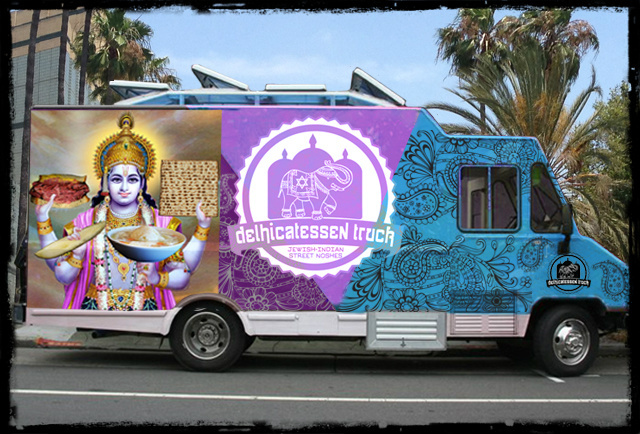 Delhicatessen Truck is a mash-up of the best of both my worlds. 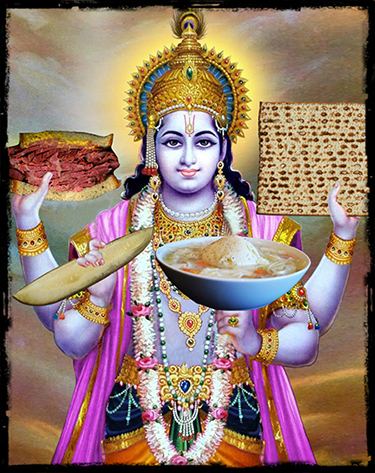 Hope you enjoy my Jewish-Indian Street Noshes – you don’t want to make my moms ask if you’ve been eating. Trust me.